the last version of the patch has been compiled against version 1.5.0 (SVN Rev 33208 from /trunk) of Wireshark. There you will find the history of updates of this patch and from now on, we will also be including the revision number that we use to compile the patch. The SMB export object functionality has been included in Wireshark development trunk, so there is no need to apply the patch anymore. That means that if you download and compile in linux the latest Wireshark svn trunk you will have the SMB plugin included in it. Additional note: the compilation for Windows have also been verified and fixed by Wireshark team. Is it included in the windows version as well? The plug-in is very cool, I compiled wireshark with eo_smb_cb in BT4, and was able to capture the transfer files. it is really amazing. you guys are so great! Depending on the environment, you should evaluate the best available option. One obvious thing to take care of is that the option you choose must be available for implementation at the client and the server side. 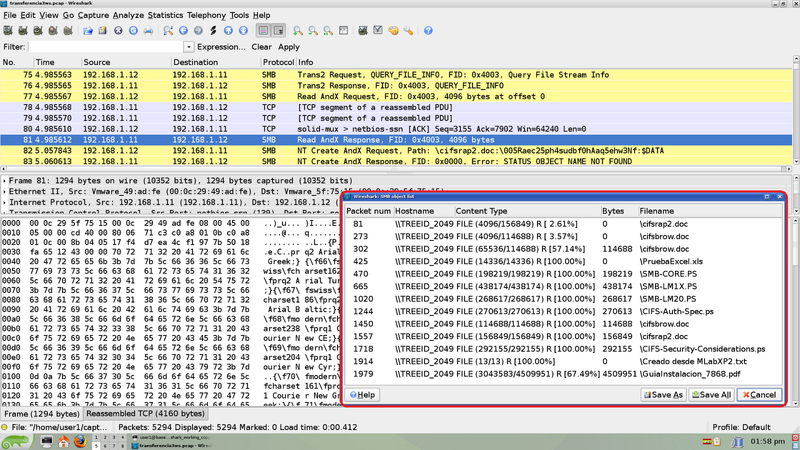 Our functionality is included in the development version of Wireshark from revision 33229 on. 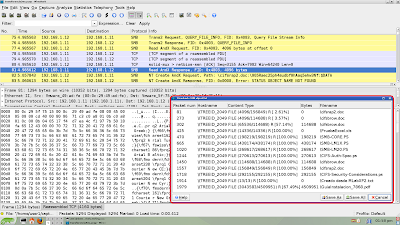 Compilation has been tested by wireshark team, including windows compilation. It is not included in an stable version of Wireshark yet, so no precompiled windows version of wireshark that includes the export-object-smb functionality is available to download from wireshark home page yet. At the moment, you can have this functionality for windows environments, by building wireshark in windows from source code.